It happens to all of us. 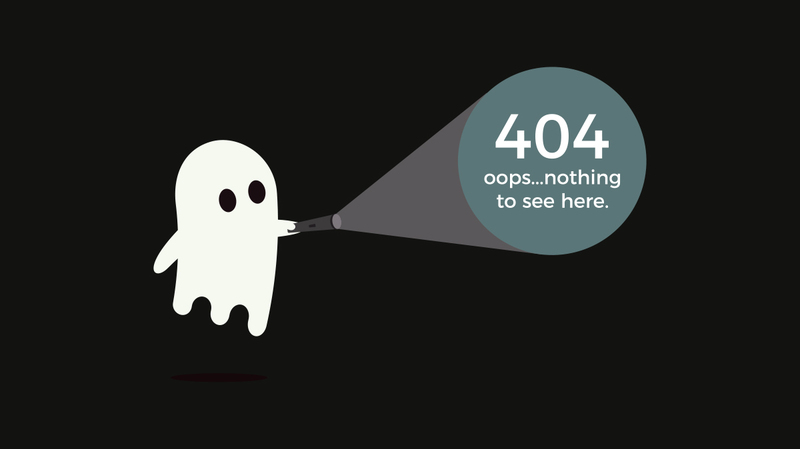 You click on a link or video and get a “Not Found” or “Deleted” error message. Bummer. As the keeper of Talent Pages and personal websites in the STAA Talent Search, I see this all the time. Sportscasters relying on external websites, only to discover their content has been moved or worse, is no longer available. When your income depends on access to your demo and multimedia samples, don’t allow another business to control how and when it is available. Other businesses don’t share your career priorities. University Athletics websites and services like SoundCloud often make changes that impact your content. In some cases, you won’t even receive a notification. Plus, external websites always have features that distract from your message. If your message is “please hire me,” don’t send a potential employer to a page that might have something more interesting than your stuff. Ideally, you’ll build your own personal website on a custom domain that also hosts all of your demo and supporting material. I know that cost and technical knowledge might be cramping your online style. Let’s look at some ways you can external websites while limiting potential problems. YouTube and Vimeo both allow you control how your video embed appears on your website. In terms of cost (free! ), presentation and ease of use, Google Drive is the best spot to store your radio or TV demos. After you upload your material, right-click on the file to copy a shareable link that’s easy to add to your personal website. Dropbox is another alternative you might already be using, but you will more likely need a paid account. Save writing samples as a PDF file. The quick and easy way to preserve your writing ability and the credibilty of the outlet that published your piece is to File > Print in your browser and “Save as PDF.” This common method is better than a direct link. Unfortunately, the formatting is usually awful. Always upload or attach resumes as PDF files. Strange things happen in transit. Don’t risk your carefully formatted resume looking crummy when an employer opens the file. Lock that formatting in by sending a PDF. A little extra effort goes a long way towards ensuring your online application material presents a clear message.